Intro: Fly to KUMA, a new mind-bending VR puzzle game from COLOPL, has arrived for Rift! Controls are simple: Pick up, move, and rotate the blue blocks in each stage to help the Kuma bears reach their goal. However, if you are not careful, the bears will fall prey to all kinds of dangerous traps. Try to get all of them to survive! Review: The storyline goes that far in the depths of space, there once was a planet called Kuma that faced a terrible tragedy. But good news, the inhabitants managed to escape and are not looking for a new planet to call their own. Sadly most of them seem to have died in space and now the species fate is down to eight very special teddy bears. What you have to do is make sure that these eight bears survive a series of perilous puzzles, traps and deadly natural events. You do this by making sure the path they are about to walk leads them to the end goal and you get various shapes and tools to do that. Often this is pretty simple, but sometimes it is more a matter of luck that they get into the ship at the end. Verdict: Any fan of the Lemmings will love this game. 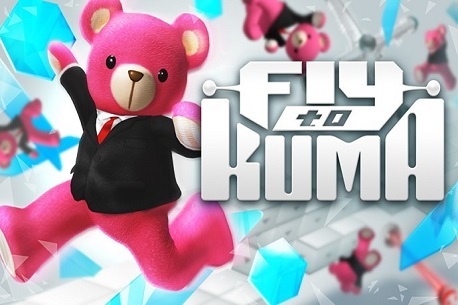 With cute bears, funny deaths and all sorts of daft silliness going on Fly to KUMA is a blast from start to finish. It’s worth downloading just to see how many ways a teddy bear can die!